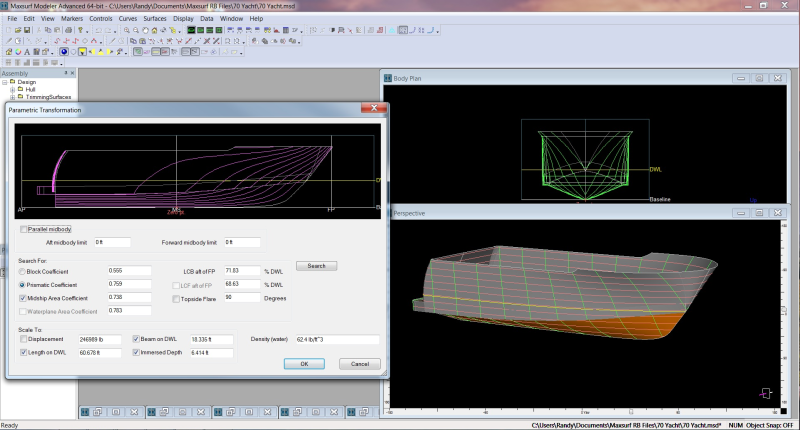 MAXSURF makes designing vessels more fun while your productivity soars. 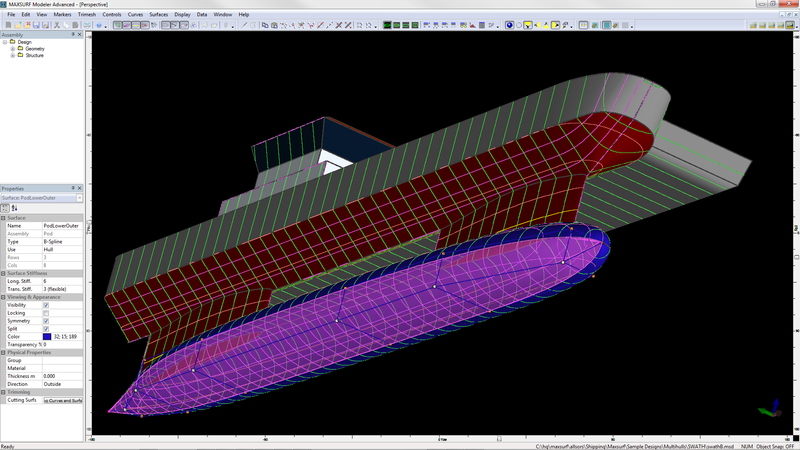 number of trimmed NURB surfaces can be used to model any vessel from yachts to workboats to the largest ships. 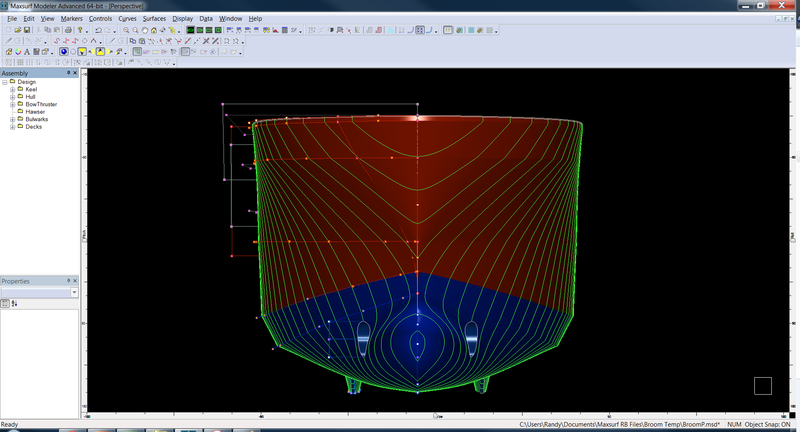 As the core technology of the MAXSURF Software Suite, the Modeler provides Naval Architects with the design tools necessary to create optimized hull forms quickly, accurately, and with minimal training. Any number of NURB surfaces can be joined, trimmed, and manipulated to create a complete model ready for hydrostatic and performance analysis or construction detailing. A range of commands provide direct interactive manipulation of the surface shape by mouse or keyboard. Control points can be dragged with the mouse, adjusted numerically, or manipulated with a range of fairing commands. 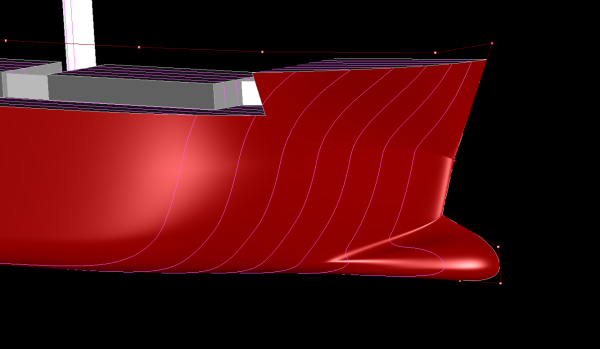 MAXSURF Modeler also provides capabilities to automatically transform hull shapes to match desired dimensions and hydrostatic properties. 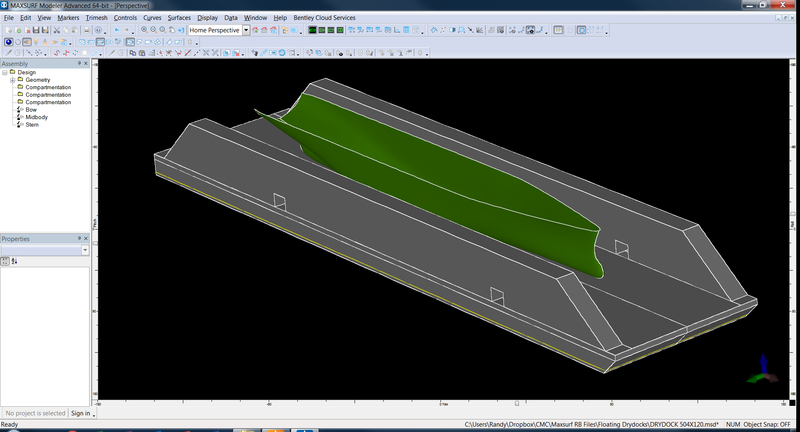 MAXSURF is optimized to help Naval Architects create very high-quality hull surfaces that are fair and can be used for all other analysis and CAD/CAM functions. Fair and accurate surfaces are critical for optimal vessel performance and ease of construction. 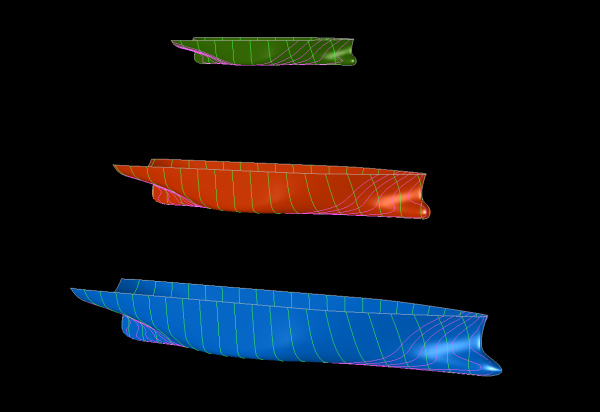 Modeler provides a comprehensive range of tools for evaluating curvature of the entire surface, as well as curvature along a particular surface contour, such as a waterline or diagonal. Curvature displays are automatically and interactively updated as the surface is modified. To see a Web Demo of this in action on YouTube click this link for Surface Fairing. Surface trimming in MAXSURF is a simple point and click process. 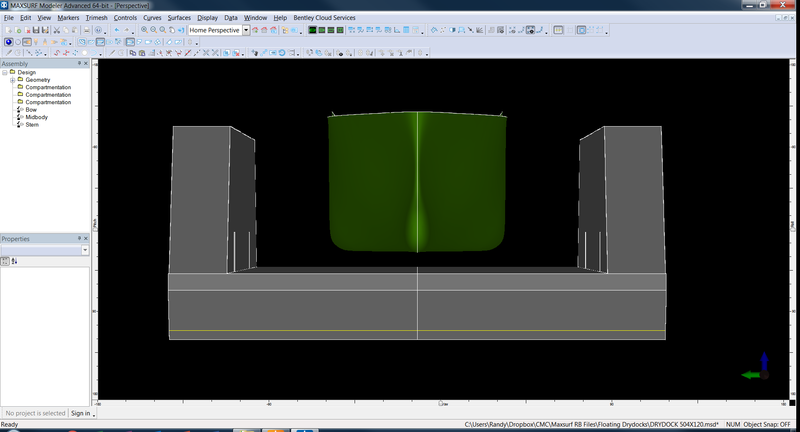 Most important, MAXSURF’s trimming is fully dynamic, allowing you to modify trimmed surfaces and have the trimmed portions automatically update. 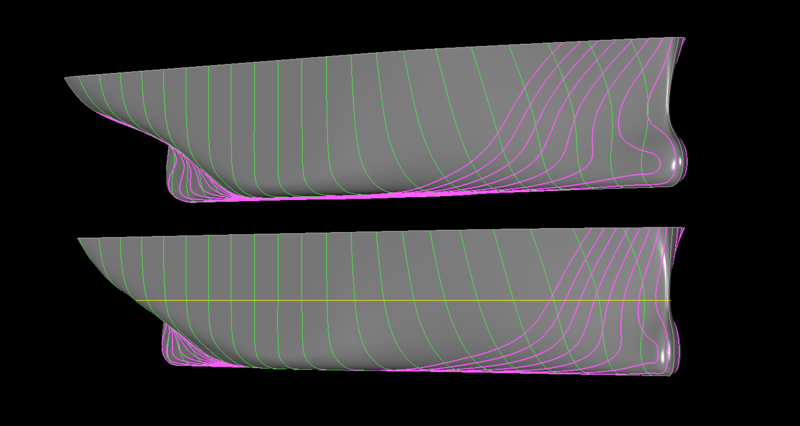 The example below illustrates the power of Dynamic Trimming when relocating a Bow Thruster on a Crew Supply Vessel hull – the hull model updates automatically. A more in-depth overview of Dynamic Surface Trimming can be viewed online with this link for Dynamic Trimming Overview.